While Obama is covering up all symbols of Christianity in America, Vladimir Putin has erected a giant statue of Jesus in Russia. Obama, who was born and raised Muslim, has never been a Christian even though he has pretended to be. Vladimir Putin had always been an atheist Communist and never pretended to be anything else; that is until recent years. Life under Communist rule is miserable where citizens feel overpowered, oppressed, and with no chance to fulfill their dreams or ambitions. They really have no choice in anything. There is not even God to comfort them since any devotion to God is forbidden and churches outlawed. This really hit home when I was a college instructor in San Francisco with a campus in Sacramento. My students on both campuses were all from Russia. Among other courses, I taught English as a second language. The Russian Students in San Francisco all had PH.D degrees with professional positions in their home country. They were all atheists, which one had to be in the Soviet Union, to go to university and do professional work. The Sacramento campus consisted of Pentecostal Christian Russians who had heard a Christian radio broadcast from Sacramento and decided to come here where they could have freedom of religion. These students would not denounce God so were forbidden to go to university, their work was chosen for them...the most menial jobs such as cleaning the streets, parks, public toilets...the worst sort of jobs. They were considered trash and not valuable to anyone. Again, they would not denounce God which is required to exist in a Communist country. They were going to college for the first time and were exited. They turned out to be wonderful students who, upon graduation were placed in first class jobs. The students in San Francisco were starting all over since the conditions in Russian had become so severe that many of them escaped with only the clothes on their backs. 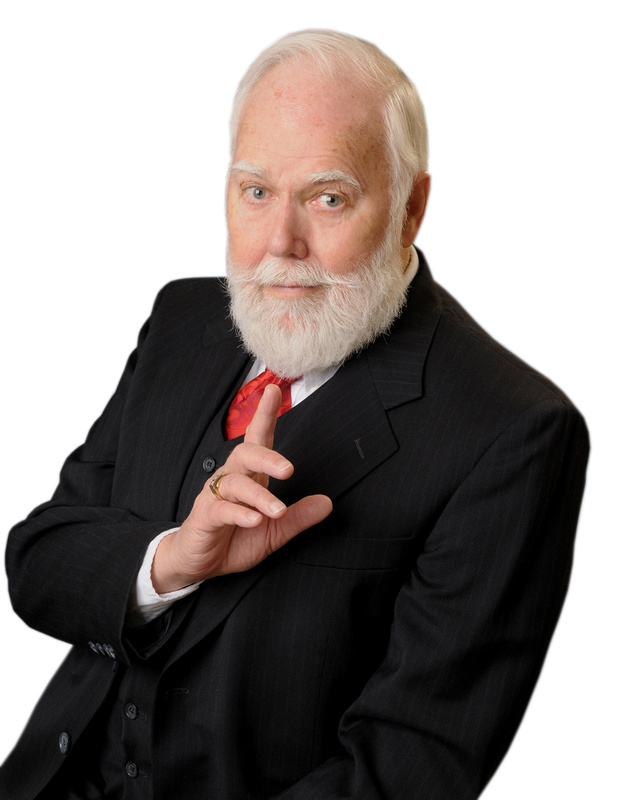 One, a well regarded dentist, gave away his 10,000 book library and knew he could not practice dentistry in the United States without memorizing an entire dental encyclopedia and pass excessive exams. But life was difficult in Russia, especially for prominent people, since such people were regularly kidnapped for ransom. There were virtually no police or fire services since there was not enough gas to take them far. Plus, heat and electricity was on only two hours a day. Consider what that would mean in Siberia with those bone chilling winters. Before Vladimir Putin became President of Russia, he had been in a key position with the KGB which I viewed with alarm. Obama, meanwhile, was backed and sponsored by the Communist Party USA (CPUSA) who also PLACED him in office. He has openly declared war on the church, and Christians. When he would go to speak in places like Georgetown University and other religious based institutions, he insisted that all symbols of Christianity, even the cross, be covered. And these weak-kneed cowards acquiesced to his demands. He has also ushered in the greatest season of immorality ever recorded in the history of The United States. And it is not going to get any better. HOWEVER, Vladimir Putin, during the time of the Sochi Games seemed to have transformed in his appearance and overall personality. We had noticed earlier when that vulgar named girl rock group invaded the Orthodox Cathedral in Moscow, getting on the sacred altar, gyrating while singing questionable rock songs and protesting against Mr. Putin. The church is sacred and should never be misused in this way. Mr. Putin had them arrested and put in prison for desecrating a church. It was strongly felt that had this happened in America (actually it has) Obama would take no action whatsoever. Homosexuals invaded St. Patrick's Cathedral in New York during a high mass, throwing condoms at the worshippers and yelling. In San Francisco's Grace Cathedral, Lesbians and "gays," many in drag with bizarre make-up, stormed in to demand that communion be served to them, totally disrupting the service. And by the way, it is a felony to disrupt a religious service. And it is time for those charges to be filed, even though we cannot count on Obama to help in any way. I had learned that Mr. Putin had become a born-again Christian. 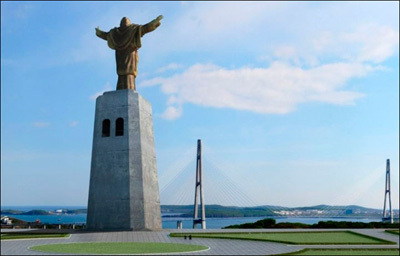 Indeed, Vladimir Putin had a huge statue of Jesus erected in Vladivostok on two hectares of land overlooking the sea on the Churkin Peninsula donated by a local businessman, Aleksey Shchepin. The entire project cost $15.3 million. This statue is larger than the famous, Christ the Redeemer in Rio de Janeiro and 2 meters higher than"The Christ the King" in Lisbon. Another giant bronze statue of Jesus has gone up on a Syrian Mountain under cover of a truce among three factions in the country's civil war. Poland is another country now displaying a huge Jesus Statue, this one wearing a gold crown. And there are more. It is an amazing time to be in as we enter these last days. But first, the greatest revival the world has ever seen will get underway in only a few short years. It is beginning to manifest. Again, it is interesting that the one country founded upon the Principles of God and The Bible Is being led to hell by Obama while the countries founded on Communism and atheism is on the way to be favored by God.